BERLIN – At a rehearsal room in a rundown building in the industrial Lichtenstein neighborhood of eastern Berlin, Israeli singer Moran Magal was preparing for her anticipated show at Berlin’s TheARTer Galerie. 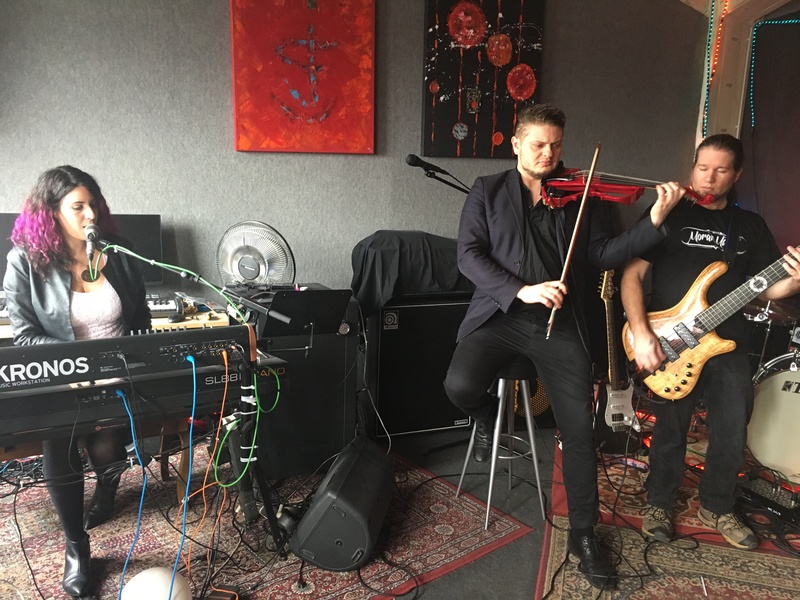 From her keyboard, she directed her band members (consisting of an Israeli violinist and bassist and Brazilian drummer) for a soulful rendition of “Always Something” in her melodic rock-metal style. Only 10 months in Berlin, singer/ pianist Magal is proud at having organized her own band, making its way across the city’s live music circuit. She’s building upon a foundation she built in Israel, but which encountered a limited Israeli ceiling. Magal is one of several Israelis artists who have left their country of origin for the greater possibilities that a base in a thriving European city like Berlin offers.